SPREAD one side of each slice of bread with butter. Then spread opposite side of bread with honey mustard. 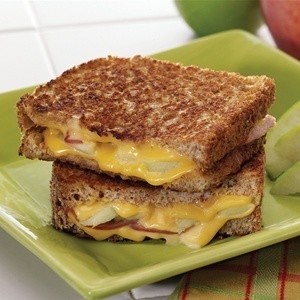 American Cheese, ham and apple. place honey mustard side down on top of sandwich. golden brown and cheese is melted.